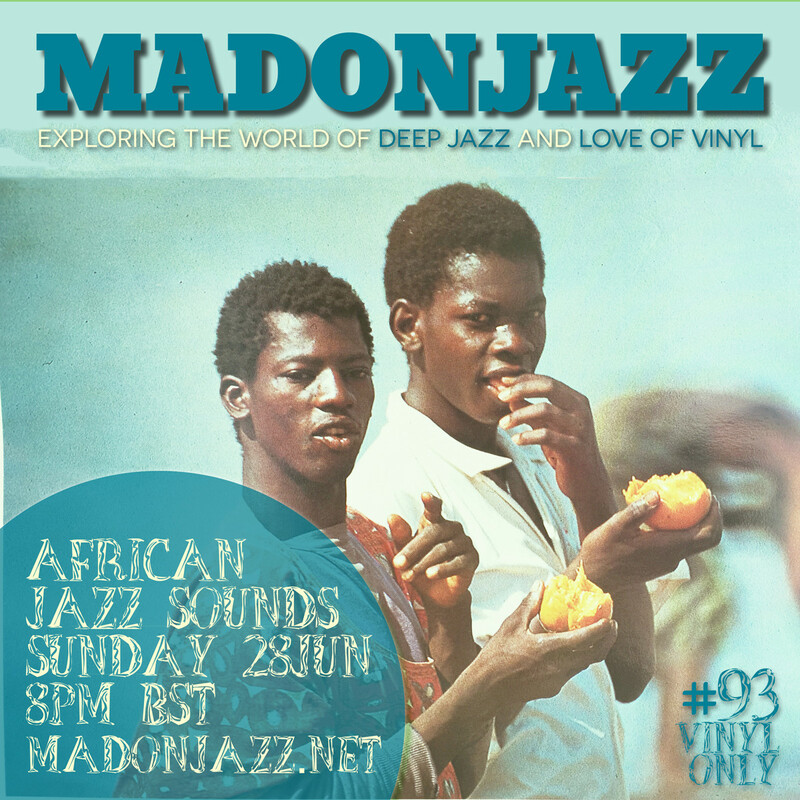 Broadcasted live on 3 JUN 10pm BST. 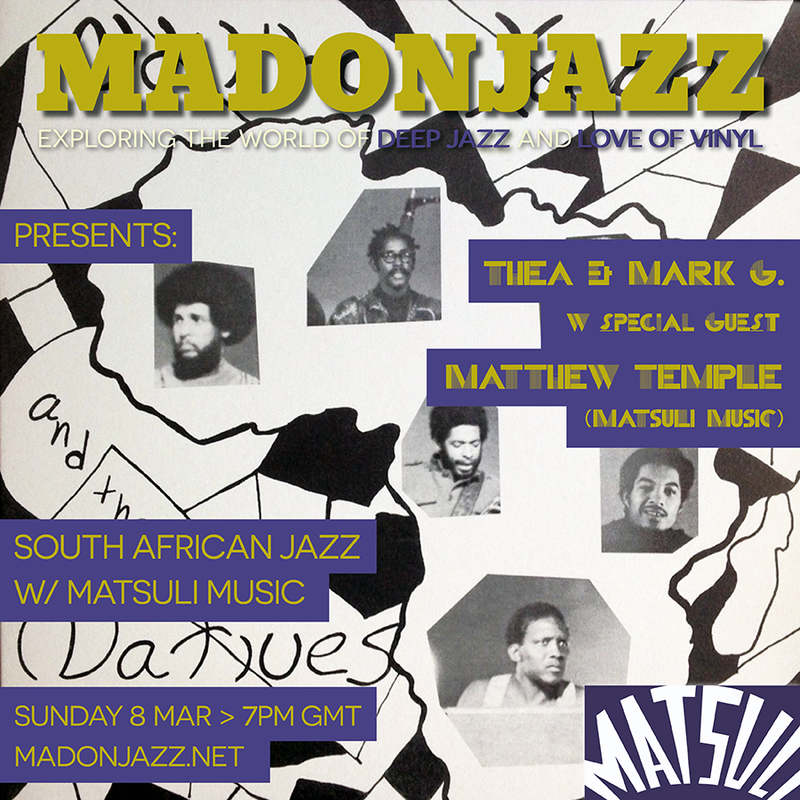 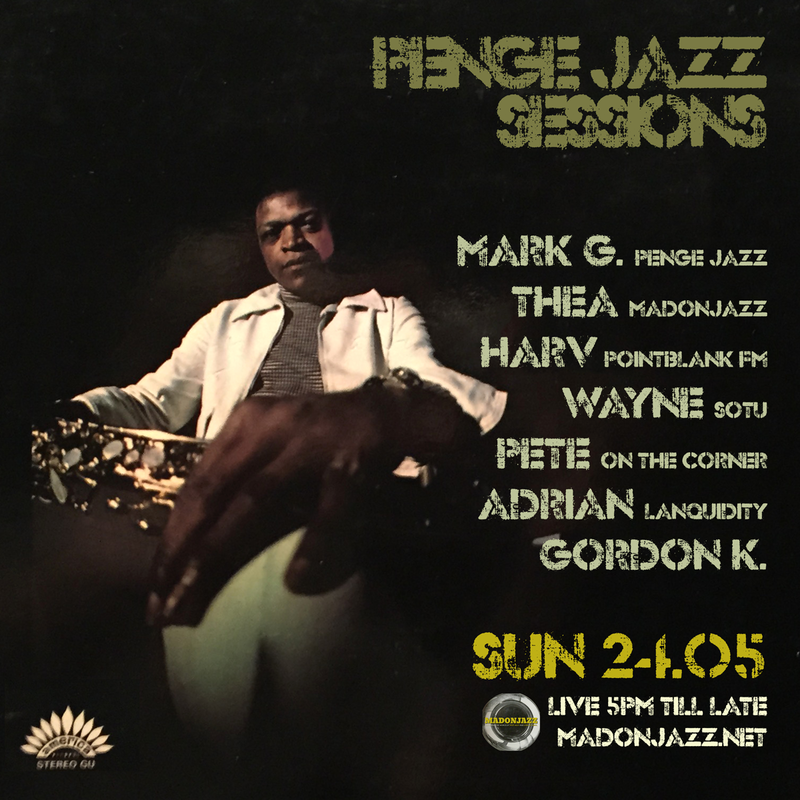 Impromptu warm-up mix for this Thursday 8 Oct, when MADONJAZZ hits the town! 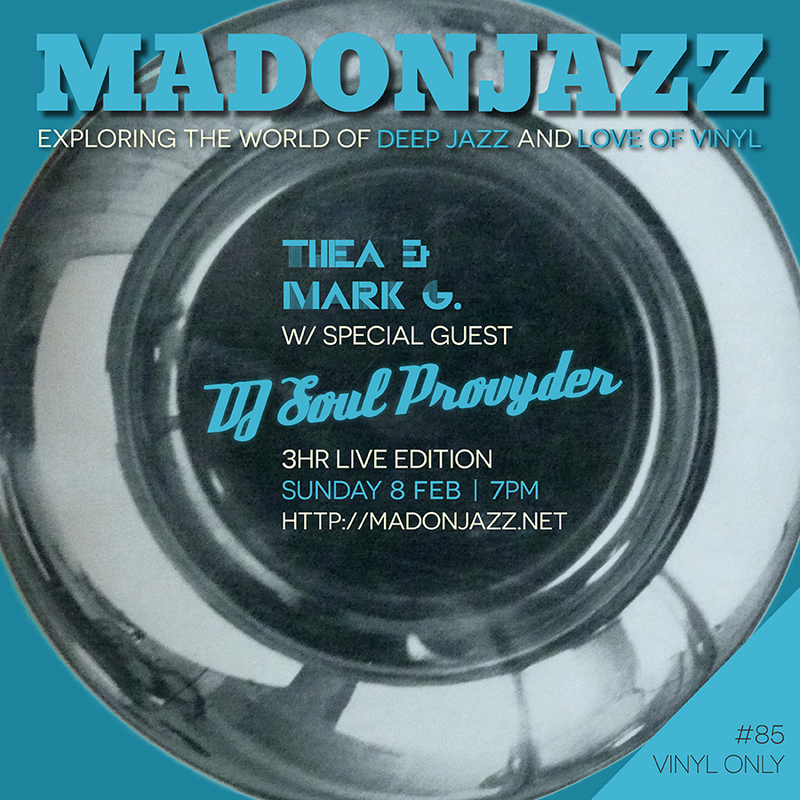 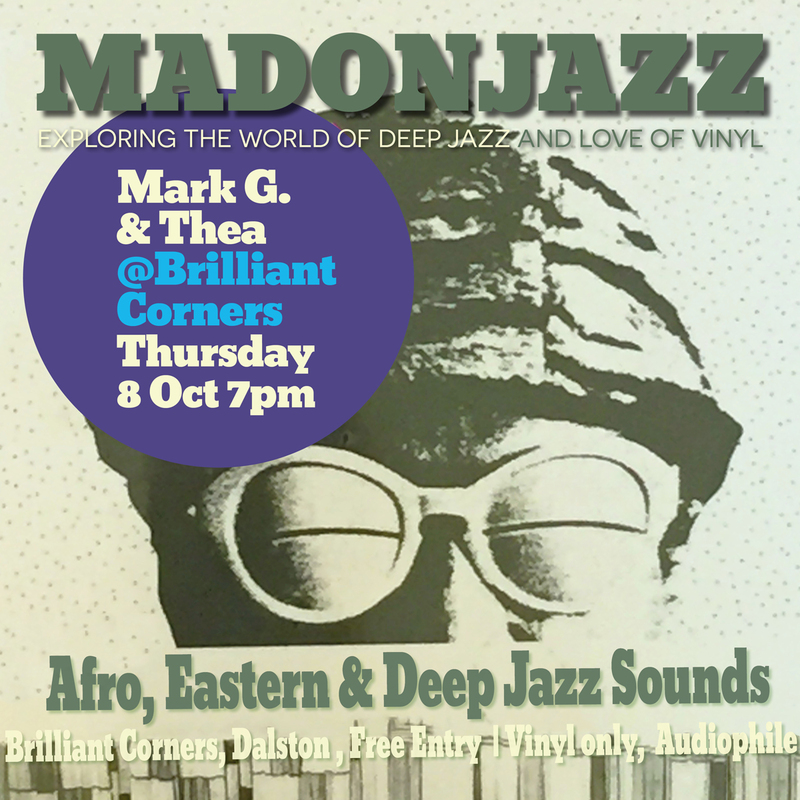 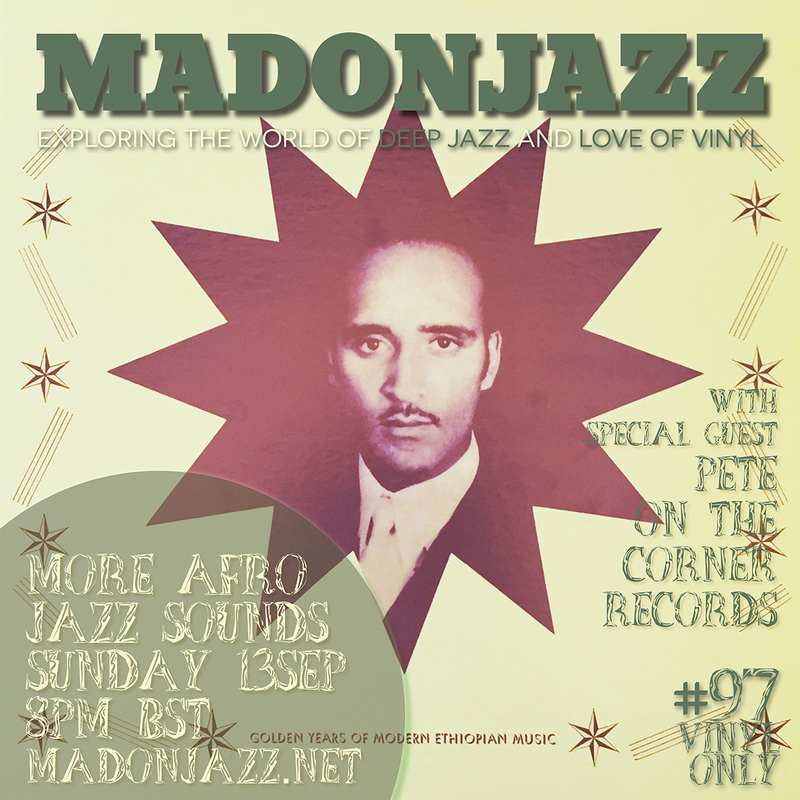 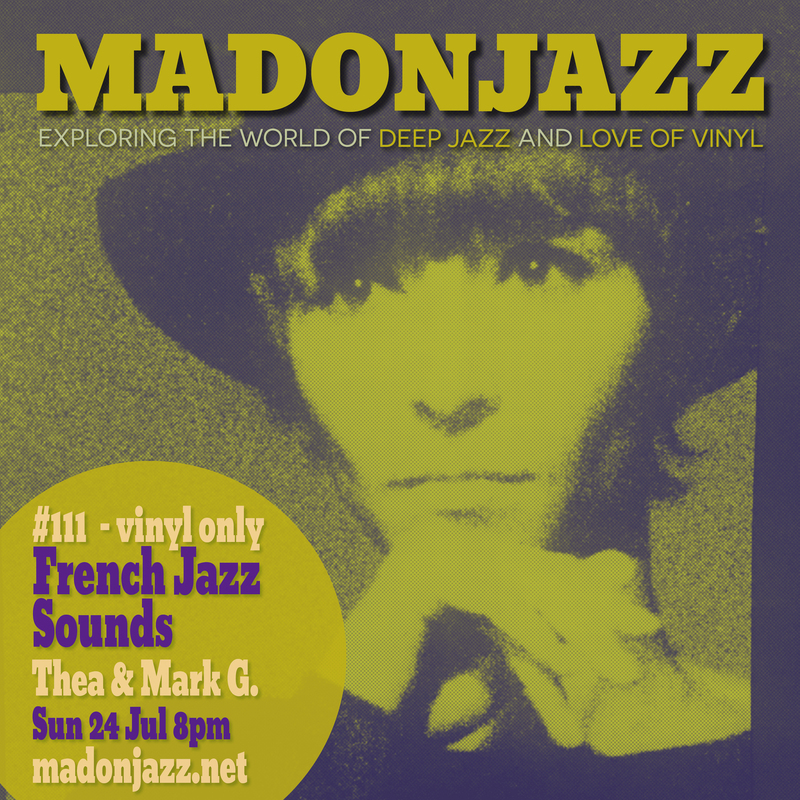 Mark G. and Thea will be at Brilliant Corners LDN, sharing their love of Afro, Eastern and Deep Jazz vinyl sounds in one of London’s dopest audiophile sound systems.